The lionfish, actually, the Indo-Pacific red lionfish, Pterois volitans, was introduced into coastal USA waters in the mid-1980s. It took several years for the fish to become established, but it did not become numerous enough to attract attention until 2000. Beel will have more to say about the lionfish later. But a recent publication (see below) and a related video, the latter presented by the American Association for the Advancement of Science, suggests the feeding behavior of the lionfish may help explain the ability of the species to expand its (introduced) distribution. 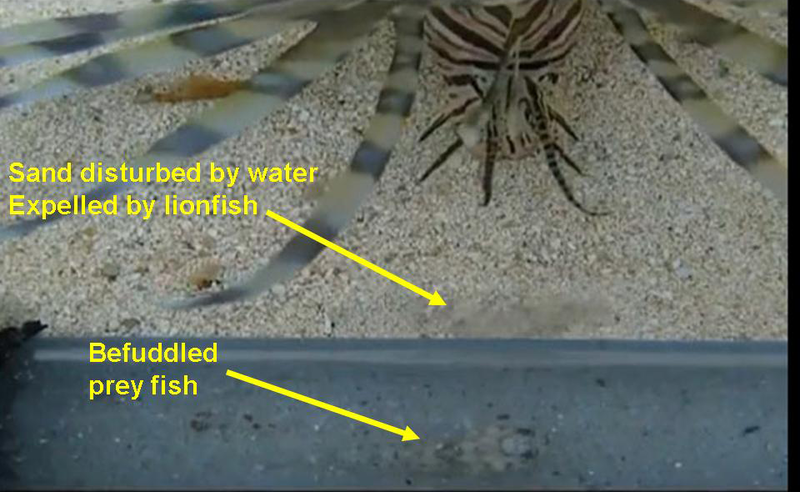 Please, let Beel present this short, but very interesting video in which the lionfish incapacitates its prey by, well, giving it a blow. Below is a screen capture of the video and a link to the real deal (Beel cannot present a YouTube video, this is real science, which evidently is too good for YouTube). Remember, Beel likes to watch. Beel hopes you do too. Enjoy! Click here to see the video here it lasts only one minute. 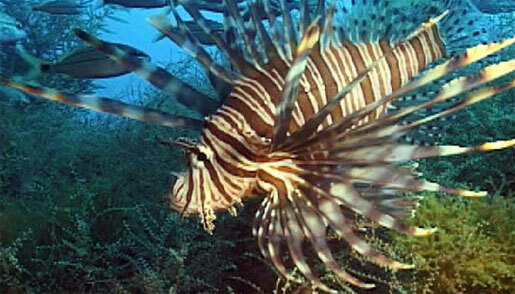 The Abaco Scientist recently posted a small note about this video and gave the link to an article published titled, Invasive red lionfish Pterois volitans blow directed jets of water at prey fish. This entry was posted on March 4, 2012 by denstormer in Commentary, Conservation and tagged invasive species, marine fish, USA, video.